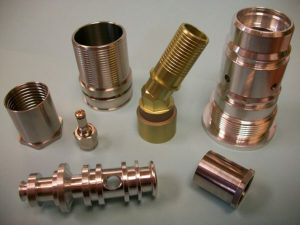 1 SOURCE precision machining capabilities for all of your component requirements. With capabilities in both manual and semi-automatic assembly, our Team can provide you with a complete assembly or sub-assembly. Outsourcing this function will reduce your overall manufacturing costs. The benefit is realized through reduced head-count, freeing up floor space and outsourcing the inventory function by utilizing a CSI Group VMI program. Metal injection molding (MIM) is an advanced metal forming process that allows complex parts to be shaped in a single operation and in high volume—a perfect solution for creating small, complex metal components. 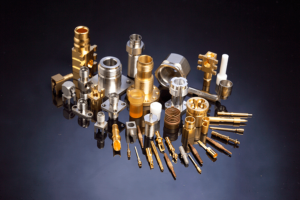 Many MIM parts are higher volume parts used in the Medical and Firearms industries. The cost benefit is realized once tooling is owned through a dramatic reduction in the piece pricing. Both low and high volume precision small part metal stamping. Expertise in very thin gage metals with extremely tight tolerances. Micro-machining metal and plastic components as small as .010. This includes drilling, turning, milling, and UV Liga technology. 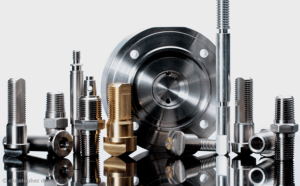 With over 100 state-of-the-art CNC horizontal and vertical milling centers, we can produce parts ranging from simple to highly complex close tolerance components. 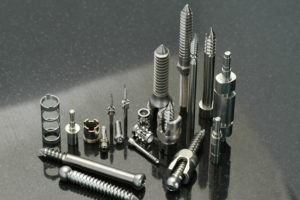 We work with a broad range of both metals and plastics. Our machining centers are capable of producing parts as large as 32″ x 32″. Our quality department has a full compliment of measurement equipment, including Zeiss and Mitutoyo insuring your products will meet your specifications. With four plants and over 100+ presses ranging from 30 to 500 tons, we have a cadre of capabilities to support the most demanding requirements. Our component size ranges from .75 ounces to 80 ounces [5 lbs.]. Some of our specialties are: clean room molding, two-shot molding, insert molding, overmolding, and scientific molding. Many other value-added services are also available. We have complete plating capability utilizing several partners. This includes precious metals, anodize and many other processes. Loose piece, barrel, vibratory, SBE, reel-to-reel, and zone plating. Purchase a complete assembly with all the unassembled components. CSI’s Kitting Program is your 1 SOURCE solution. Send us your BOM for a quick quote. Click here for your 1 SOURCE solution! Allow CSI access to your MRP system and we will manage your custom designed components. We will plan and purchase, deliver just in time to assembly sites worldwide. Zero acquisition cost and zero inventory. Extensive part by part qualification with documentation support to deliver components directly to assembly. Is designing for optimum manufacturing a concern? Can your design team benefit from integrated engineering support? Having an engineer working with your team who understands the supplier, equipment, process, and capabilities will insure successful manufacturing of top quality parts. From concept through component usage in your application, we can help. The CSI Group can help you with all of the above. We have the engineering resource that will provide the solution. Over 30 years of component design experience. Design for manufacturability with emphasis on simplicity to reduce cost and time to market. Can interface with various departments such as engineering, procurement, and management. Work with AutoCAD and SolidWorks.